MICROWAVE DIRECTIONS: Butter cookie sheet. In 8-cup microwave-safe measuring cup or medium microwave-safe bowl, combine sugar and corn syrup; mix well. Microwave on HIGH for 4 minutes. Stir; microwave on HIGH for 3 to 5 minutes or until light brown. Stir in walnuts, cinnamon, margarine and vanilla until well blended. Microwave on HIGH for 1 minute. Add baking soda; stir until light and foamy. Pour onto buttered cookie sheet. Cool 30 minutes or until hardened. 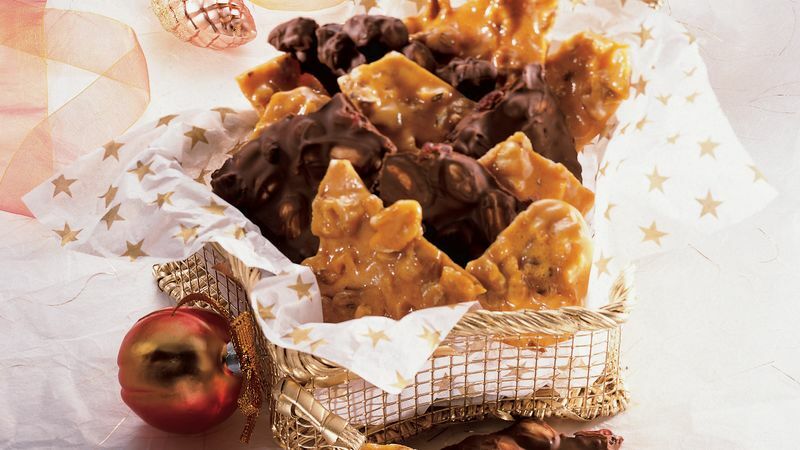 Break brittle into pieces. Store in tightly covered container.